This pizza looks yummy. I am your newest follower. Thanks for becoming a follower on mine. This is my hubby's fave pizza and that's more than reason enough for me to try it! This looks so good I can almost taste it! Yum! Oh - I adore Margherita pizza but never tried to make my own! Can't wait to try this as well as several of your recipes! Thanks for following my blog and inviting me over... I LOVE your ideas here! I am now a follower. And we make pizza every Friday (which sounds good until you have pizza e.v.e.r.y Friday). I am excited to try something new! Thanks! Love making home-made pizza! My two boys even help when I make it, thanks for the recipe! 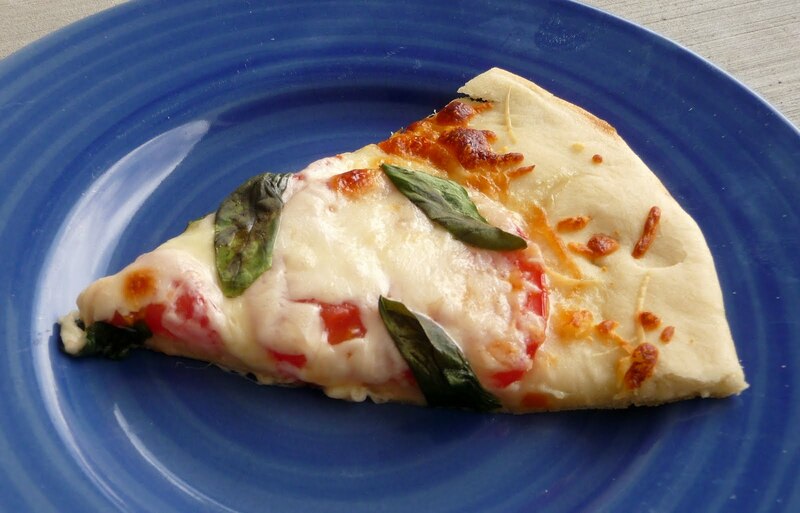 LOVE margherita pizza, and what a great idea! Yum, I need to make this soon. Hey Nikki, your pizza looks DELICIOUS!!! Your pizza dough recipe is basically exactly how I make mine, except I don't actually measure anything, lol, but it sounds about right. Your blog is super cute, and my gosh so are you, and your daughter.... LOVE that you are cooking up a storm. Eating real home cooked meals is the best, I'm sure your family is super happy!!! Thank you so much for stopping by my blog, AND following along, I really appreciate it!! I can't resist following you too girl... you have too much good stuff going on here, and I love cooking. Hopefully we'll see alot more of each other. I'd also LOVE if you shared your recipes at my weekly party. I LOVE featuring great food!!! I have never made pizza from scratch. Your recipe is inspiring. Just bookmarked this...just today realized I needed to use my exploding basil plant! This is BY FAR my favorite kind of pizza. YUM! This looks delish! Can't wait to give it a try, I've been looking for a good pizza recipe! 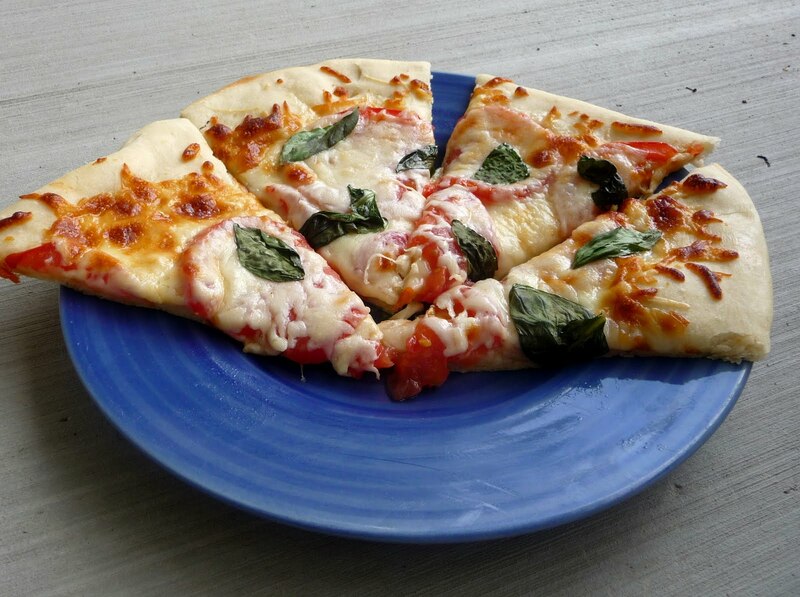 Your pizza looks amazing!I just made margarita pizza over the weekend. So good! This looks amazing! I would love it if you came by and shared some of your recipes with us at Cast Party Wednesday tomorrow.Thanks,I hope to see you there! Love your recipes but you don't have PRINT on all of them so I van print the recipe only. ie: pizza dough has PRINT and toppings recipe does not.